X-ray observations that generated a storm of online speculation on Tuesday were knocked down as a false alarm on Wednesday. 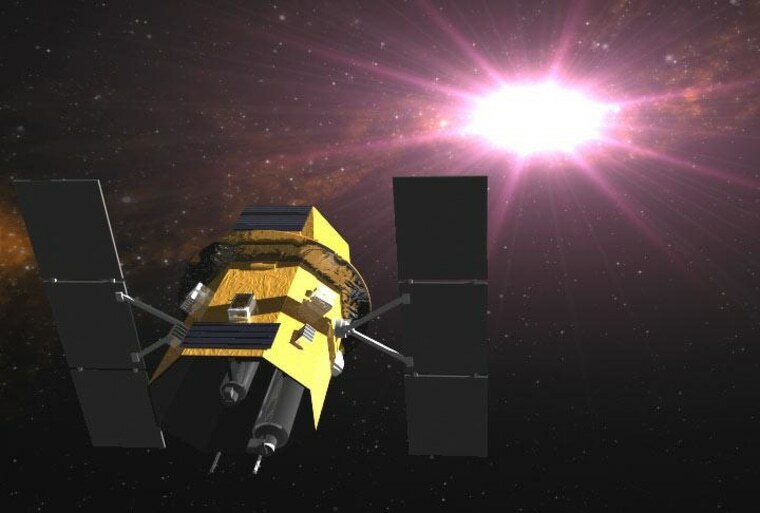 It turns out that the source of the high-energy radiation was previously registered by NASA's Swift mission (with the unwieldy moniker 1SXPS J004143.1+413420), and not a suddenly new object in the Andromeda Galaxy. It's thought to be an X-ray binary star. Astronomers became fired up about the source because of the possibility that it could be an exotic gamma-ray burst, which ranks among the most powerful blasts in the universe. If such a blast had occurred in our celestial neighborhood, a mere 2.5 million light-years away, that would have been a sensational opportunity for study (and for jokes about the Incredible Hulk). The follow-up was complicated by the fact that NASA's Goddard Space Flight Center, which hosts a repository for Swift data, was hit by a storm-related power outage on Tuesday. That delayed the process of verifying the observations. Eventually, astronomers determined that the emission wasn't as intense as originally reported, and that the signature matched up with the previously known X-ray object. On Wednesday, scientists on the Swift mission team said they "do not believe this source to be in outburst." Instead, they concluded that it just happened to trigger an alert from the spacecraft's instruments, perhaps because the instruments had lumped together X-ray emissions from other sources in the Andromeda Galaxy. "I imagine that, from the outside, this looks rather chaotic and disorganized," a member of the Swift team, the University of Leicester's Phil Evans, wrote in a detailed explanation of how things went down. "And the fact that this got publicity across the Web and Twitter certainly adds to that! But in fact this highlights the challenges facing professional astronomers. ... You've been given a brief insight into the decisions and challenges we have to face daily."